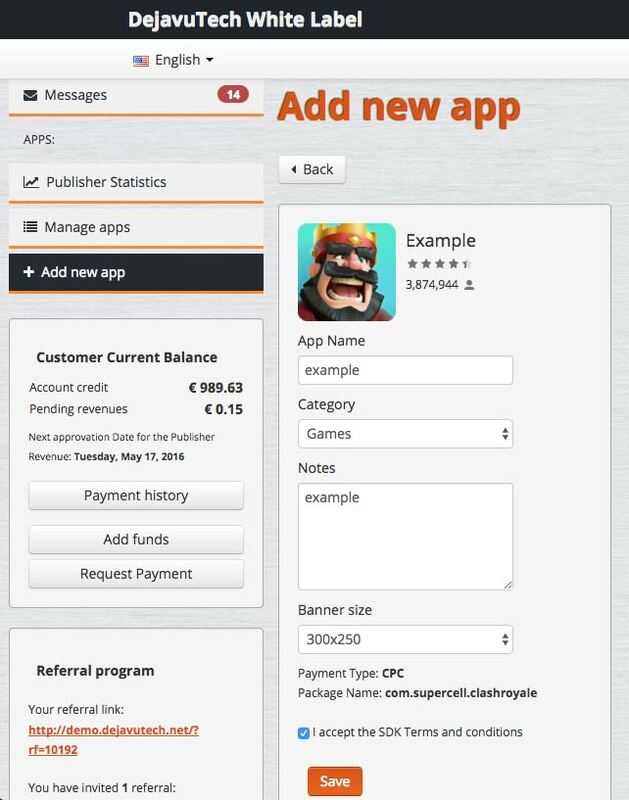 The SDK is a direct link put inside an app; thanks to this code the publisher can monetize his application with advertising. The platform will automatically create a code that has to be pasted inside the app and a banner advertisement will start to run. 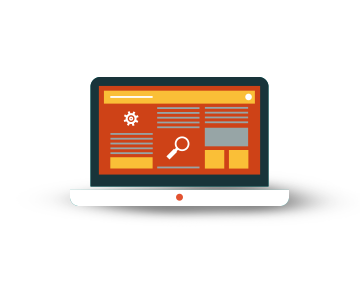 The SDK represents a collection of softwares used to develop applications for a specific device or operating system. Downloading these codes from our White Label platform, every developer will be able to make the most of his application and monetize the customers. If it helps developers monetize their apps, on the other hand, advertisers will be able to reach a wider customers base compared with web only users. Everyone who can dispose of the resources to create applications, or already has one, will be able to use the SDK, thanks to the easy programming interface created by our technicians, and to the exhaustive documentation that accompaigns the software kit explaining all its functionalities. 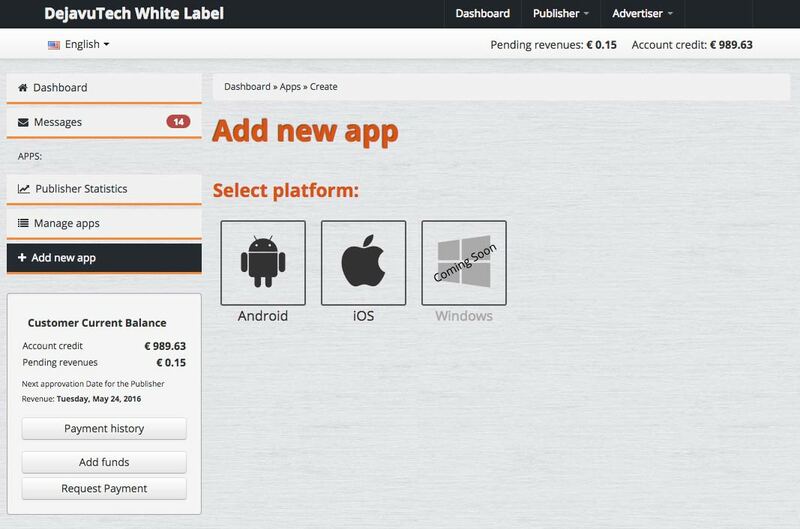 White Label’s SDK is available for both Android and iOS.